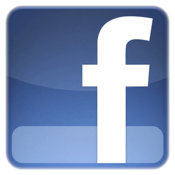 I Heart Cooking Clubs (IHCC), is cooking from a new selected chef, Hugh Fearnley-Whittingstall starting this month, until September. I love watching his shows on TV, River-Cottage, his life on his farm with fresh veggies, herbs and fruits, organic-raised chickens, fresh milk and meat from the cows he raised, and other wonderful fresh produce around his farm like wild mushrooms! All the food and breads he made in his kitchen always look so, so, good! So I am looking forward to cook with Hugh along with my other friends at IHCC. Anyone is welcome to join us, just hop along to IHCC for more details. 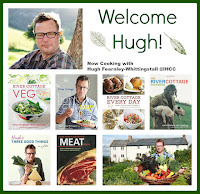 To welcome Hugh Fearnley-Whittingstall into our kitchen, we can cook any of his recipes. There are many which I am so tempted to make, but I'll start with a one pot meal, Baked Chicken with Tomatoes and Rice. I love one pot meal, especially when it has rice it it! The chicken parts are cooked three times. Firstly, they are to be browned in a skillet, then roast for 20 minutes, then roast again, this time together with the rice until both the chicken and the rice are cooked. This may sound like a lot of work, but really there isn't much work at all. Recipe states that 125gm of arborio rice to serve 6, which I thought was way too little rice! It is slightly more than half a cup, how could this amount feed 6 people? I increased the rice to about 450gm to feed 4, since this is a meal all on its own. The rest of the ingredients I pretty much followed the same amount except that I did not use the white wine. I do have a bottle of white wine, but I was struggling to open the bottle! After almost ten minutes, and getting impatient by then, I put that bottle aside and replace with chicken stock instead. Increase the stock accordingly if more arborio rice is used. The recipe says to prebaked the chicken first, while the rice stir-fried with the other ingredients as per the recipe instructions. The rice is then tipped into the chicken dish, taking care that not a grain of rice is left on the chicken, as it might not be fully cooked. I have however reversed the other way round. I stir-fry the rice briefly in a oven-safe saucepot, add the stock, let it come to a boil, then place the pre-roasted chicken on the rice, scatter the olive and baked uncovered until both the chicken and the rice are cooked, about 30 minutes. Remove pot from the oven, put the lid on and leave to rest for 10-15 minutes before serving. Delicious one pot meal. Love the tender, juicy chicken and the tasty delicious rice. I scattered chopped fresh coriander leaves as I did not have any thyme. Works deliciously with the coriander. I chopped a generous amount of chopped fresh coriander, place the bowl at the table so that everyone can help themselves how much they want, cos in my house, we love fresh coriander, perfect garnish with rice meals like this! Heat the oven to 180C/350F/Gas mark 4. Put a large frying pan on a medium-high heat and add the oil. Season the chicken pieces well, and in two batches, brown in the hot pan. Transfer to a large oven dish, skin side up, and when all the chicken is browned, roast it for 20 minutes. Meanwhile, turn the heat right down under the frying pan. If need be, pour off any excess fat (you want only one to two tablespoons of fat left in the pan). Add the onions and sweat gently for 10 minutes, until soft, then add the garlic and oregano, and cook for a few minutes more. Stir in the rice for a minute or two, then add the wine and increase the heat so it is bubbling. Simmer for a couple of minutes, stirring, until the liquid has evaporated. Stir in the tomato puree, then add the tinned tomatoes and stock, and bring back to a boil. Season to taste. All this should fill the chicken's initial 20 minutes' cooking. Tip the rice mix into the chicken dish, making sure no grains are left on top of the meat, where they won't cook. Scatter in the olives, if using, and roast for 30 minutes longer, by which time the rice should be swollen and tender. Leave to sit for 10-15 minutes, check the seasoning, scatter with thyme and serve.